I opened the Oriel Glan y Mor Gallery in Fishguard in March 2002 with another artist, my friend Margaret Jones. We had a very enjoyable few years running the gallery together, and put on many many exhibitions. We had previously been located in the lovely village of Trefin, further along the coast where we ran a tearoom and gallery. We decided to relocate to Fishguard because we were spending far too much time cooking and not enough time painting! 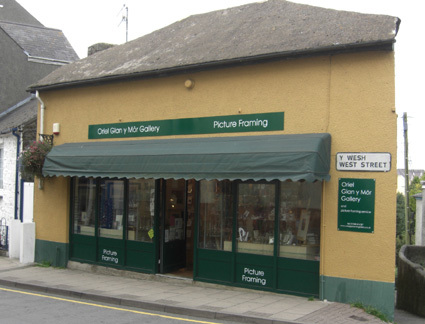 After five years of hard work and much laughter in Fishguard, Margaret had the opportunity to realise her dream of living in Portugal for a while, so I changed the gallery into more of a working studio space for me as I was now there full time, and there I stayed for another 9 years. My husband provided a framing service, and I sold my own paintings and cards, coasters and prints. I also made my own line of jewellery to sell there and sold a small selection of works of art by other artists. 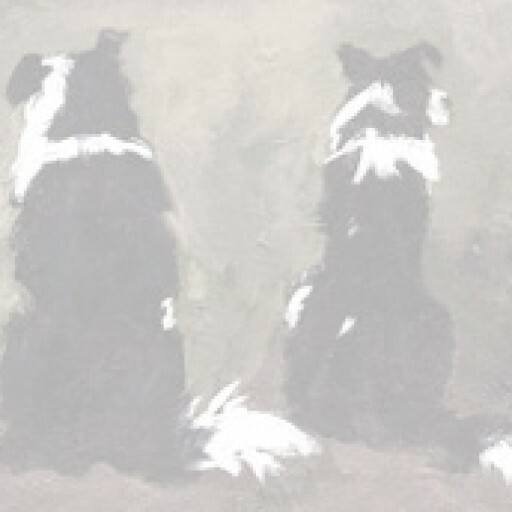 Over the years, many of my regular customers have become good friends, and the gallery had become part of the town’s fabric, but in the last few years I felt that I really wanted to work from home, so I’d have more freedom to see more of my husband Alan and the dogs, and to have the opportunity to get out and about the countryside, and to indulge my other passion – gardening. So in April 2016 I closed the doors of the gallery for good. Before I did so, I had a grand closing down sale, so that my long standing customers could benefit from the fact that I have very little storage space at home. This, however, was so much of a roaring success that I had to spend the next few months frantically painting for my exhibitions over the summer months. In September I was scheduled to exhibit in the large courtyard gallery at Picton Castle again. My cunning plan had been to call it “Then and Now” so I could mix old and new work. Instead, I had only a handful of paintings left for all of the commitments I had taken on, so I had to produce 50 new works. During the next few months I exhibited as usual with the lovely group, Creative Fusion, in St Davids and Cardigan, and had 2 solo shows in Newport’s charming Tourist Information Centre, and took part in the Waunifor summer exhibition near Llandysul. So all in all, I was having a pretty hectic time rather than the ‘life of lesiure’ that people were asking if I was enjoying…. Where can you see my paintings ‘in the flesh’? At the moment, I don’t have a venue that people can visit at home to see my work, but we are thinking that perhaps we’ll be able to use one of the outbuildings as an open studio for a short time next summer: we’ll have to see how the house renovations go, though. In mid November this year, I’ll be with Creative Fusion for 2 weeks (13th – 26th) in Cardigan at the Corn Exchange and I’ll have some paintings for sale at Oriel y Parc in the window display cases during December and January. I have some paintings on display at the Mill in Trefin. This is run by Margaret’s amazing son James – well worth the visit for the delicious food and warm welcome. The Maker’s Mark in Newcastle Emlyn is just about to have a new delivery of work from me. There you’ll find an equally warm welcome and a range of really interesting art and craft. 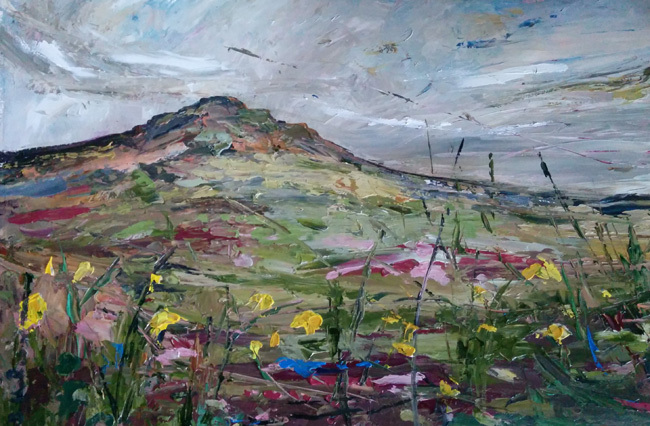 In Cardiff you’ll find some of my work at the Victoria Fearn Gallery in Rhiwbina. Meanwhile in Fishguard, I have some paintings for sale in Jane’s woolshop and cafe. They have an incredible range of wools and accessories and good home cooked locally sourced food. Next year I am scheduled to have a solo exhibition in the Tower Gallery at Oriel y Parc in St Davids for the months of August and September.